Just because you’ve completely shunned ebooks and e-readers for classic paper tomes, that doesn’t mean you can’t let a little technology improve your reading experience. Kyouei Design’s Bookmark Light will not only save your page, it will also save your eyes, turning into an ultra-compact reading light. 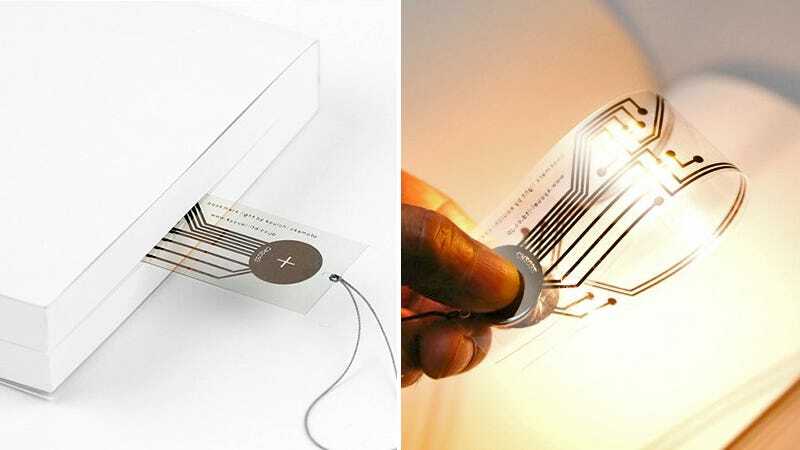 Available from Designboom’s online shop for just $16, the flexible bookmark is covered in a simple circuit made from conductive ink, as well as a set of ultra-thin LEDs. When folded over a standard CR2032 watch-sized battery, the LEDs glow, letting you read well into the night.